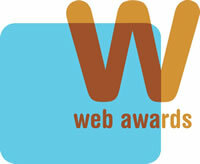 Foxtons.co.uk has been awarded the "Standard of Excellence" award in the Real Estate category of the 2007 WebAwards. Being recognised as one of the premier real estate websites in the world is a great achievement and rewards the ongoing efforts we make to ensure Foxtons.co.uk is functional, easy to navigate and well designed. In particular, the WebAwards judges noted the design and ease of use of Foxtons.co.uk among real estate websites, also noting the good use of the latest web technologies such as enabling customers to rate their favourite properties through My Foxtons. "This is an excellent, fast and easily navigable site. You deserve every award you've received. The neighbourhood/area descriptions are a simple feature that I have been waiting for on real estate sites for years. Your 'fresh' branding position is unique and well used. Other real estate agencies don't think they need branding, that the properties will speak for themselves - couldn't be further from the truth. Wonderful work!"